Hopes for No. 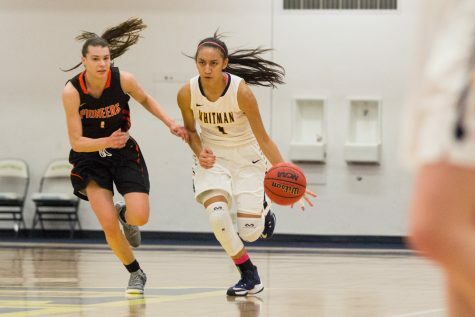 16 Whitman women’s basketball of matching or surpassing their 2014 NCAA tournament second place finish were stopped short March 11, when they were ousted 48-65 by No. 2 St. Thomas in chilly St. Paul, Minnesota. Being an underdog was not the problem. Two weeks prior the team had entered the NWC tournament as the third place seed with a respectable but moderate 12-4 record, only to surpass second place conference finisher No. 22 George Fox in the semifinal and then No. 6 University of Puget Sound, undefeated in-conference, in the final to claim the NWC Championship title and an NCAA tournament berth. 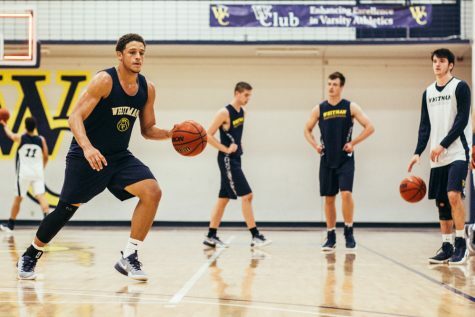 The uphill battles continued on the path to the Elite Eight as the Blues took down George Fox and UPS once more, as well as No. 7 Trinity University in the Sweet Sixteen. St. Thomas held an uncertain 33-23 lead at the half of the quarterfinal, with Whitman pushing to close the gap. Despite respectable defense, however, the shots just would not fall for the Blues. A mere three of 17 field goal attempts resulted in points for the trailing visitors in the third quarter. 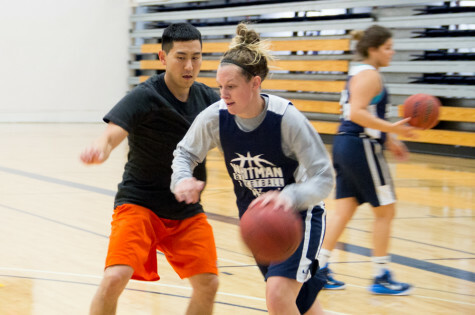 Unable to close the gap, the women’s season ended with a 17 point shortfall. 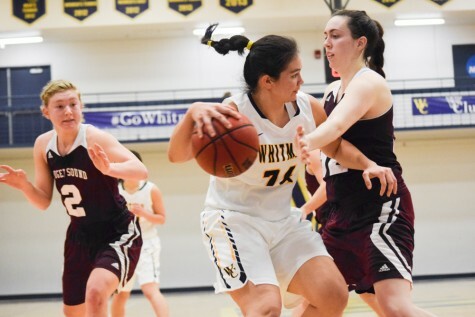 It was a bittersweet end for a team that, though disappointed by the loss, left its mark on Whitman history by overcoming hurdles at every stage to prove itself as one of Division III’s top eight nationwide.